Old iMac i7 or new i5? Please quick help!!! Discussion in 'Buying Tips and Advice' started by onefine, May 10, 2011. Please help me! Tomorow I will go to buy iMac. There are two options from which I must choose. Which one is better?? Which one to choose?? The new Sandy Bridge architecture gives a much better performance than last year's model so for an extra 50 seems a very good deal. I bought a 3.1GHz i5 yesterday 1GB gfx. I've been really really impressed with it - put on Starcraft II and it runs with everything on max and 2560 x 1440. 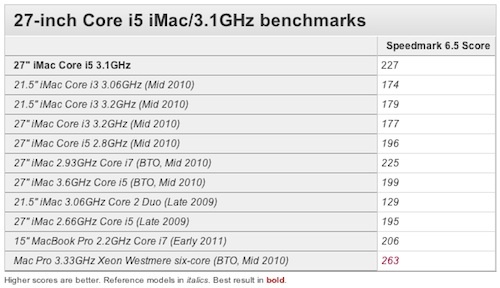 So I am now so happy with my new iMac i5 3,1 GHz )))) Thx for advice! wouldnt the 2010 be quicker for multithreaded tasks because the i7 has hyper threading but the i5 dosnt?